Dr. Stake is a specialist in health system administration, program development, monitoring and evaluation, analysis, teaching, and cross-cultural communication. He has over ten years of public health leadership focusing on social and behavioral interventions for indigenous populations including Apache, Mixtec, and Sylhetti. As a Johnson & Johnson Community Health Care Scholar for his work in developing sustainability in poor areas, he comes to K’ima:w Medical Center from Johns Hopkins School of Public Health where he was an Associate Faculty member. Dr. Smith is family practice physician with more than thirty years of experience in public health, addiction treatment, and preventative medicine. Her major emphasis has been on public policy relating to Native Americans administered through the Indian Health Service (IHS) and medical facilities delivering services. As one of the major authors of an IHS plan to address alcohol treatment-related findings from reports of the Office of Inspector General, her guidance in shaping policy and treatment made her ideal for roles as a Branch Chief and Medical Advisor. As a public health service officer, the Hoopa Valley Tribe requested her assignment to K’ima:w Medical Center from the Headquarters office of IHS in Albuquerque, New Mexico. Ms. Mosier has been with K’ima:w Medical Center for nearly twenty years. She has been the Executive Secretary since 2005 providing continuity to the medical center administration and orienting each new Governing Board member to organization policies. In addition, she acts as a continuous quality improvement monitor and a liaison for Joint Commission accreditation standards. Ms. Benedict is an experienced financial officer with more than twenty-five years of experience in billing, finance, trust fund accounting, and business financial management. She served as the Hoopa Valley Tribe’s Treasurer tracking and auditing the Tribe’s trust fund reserve and worked on national workgroups to develop modern systems for federal trust fund monitoring and protection. She has more than ten years of experience working as a lead finance person in combined tribal and private sectors in healthcare, business, and construction. Mr. Tamerius is a manager with more than twenty-five years background experience in project development and management, public relations, legal research, and public service. His most recent projects include working with the Office of Emergency Services on disaster recovery projects from Winter 2017 and the Senior Nutrition Center construction project. Ms. Surber has been with the Hoopa Valley Tribe for nearly 30 years. 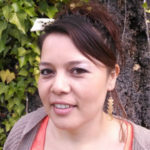 Her most recent post has been as a Grant Writer for K’ima:w. Her previous assignment at K’ima:w involved running Project Connect, a domestic violence prevention program, that spanned multiple grant funding sources. Dr. Chase began work here in 1997. A native of Hoopa and a Hupa Tribal member, Dr. Chase attended Hoopa High before going to UC Davis, Stanford Medical School, and UCLA School of Public Health. Preventive medicine and public health are Dr. Chase’s special interests. His primary interest off the job is his family, followed by reading and golf. Dr. Taddesse has started working at KMC since January of 2017. Dr. Taddesse received his BA in molecular and cell biology (MCB) degree from the University of California Berkeley (UC Berkeley) and he received his Doctor of Pharmacy from Touro University California. Recently, Dr. Taddesse becomes an advanced practice pharmacist who will deliver patient centered care service in a clinical setting. Dr. Taddesse will focus on and deliver services in different areas such as hypertension, diabetes, hyperlipidemia, anticoagulation, depression/anxiety, and safe medication use in geriatric population. Dr. Taddesse makes every effort to provide high standard and quality patient centered care services for his patients. Dr. Matsuda graduated from University of Iowa Roy J and Lucille A Carver College of Medicine in 1993 and has been in practice for 23 years. He completed a residency at University of Hawaii John A Burns School of Medicine. Dr. Matsuda is board certified in Pediatrics. Dr. Matsuda rates 5 out of 5 stars on the Vital Medical Provider Website. Ms. Walsh started at KMC in February 2000. She attended Humboldt State University (CSU Humboldt) and received her NP from Sonoma State (CSU Sonoma). Her special area of interest is Diabetic care. She is also interested in gardening and reading. What she wants patients to know about her is that she thinks KMC is a great place to work and that she likes her patients. Tracy Langhurst, PA-C completed the Physician Assistant program at the University of Iowa. She has been practicing for over 20 years in Iowa, Hawaii, South Dakota and now California. Tracy has experience in cardiology, primary care, pediatrics and urgent care. She also enjoys hiking, RV camping, fishing, swimming and coaching/playing softball. Dr. Bradshaw started working at KMC in 1983. Doyle was an outstanding 6th grader, a graduate of Bakersfield College, UCSD, and UCLA School of Dentistry. Doyle’s favorite hobbies are sleeping, eating, and gardening. “I dream of the day everyone brushes and flosses and I don’t see any more tooth decay,” said Doyle. Dr. Nguyen has earned her bachelor degree at the University of California, Davis and received her doctorate degree at the University of the Pacific, San Francisco in 1994. She has practiced general dentistry since and also has served as Clinical Adjunct Instructor at the University of the Pacific teaching second year dental students. Dr. Nguyen enjoys working with patients of all ages providing dentistry in a cost-effective care with the underlying foundation of overall health and esthetic restoratives. Dr. Takane started working for KMC in 2007. Evelyn was born and raised in Hawaii, graduated from the University of Hawaii and Loma Linda University School of Dentistry. Evelyn lived in southern California for 20 years before coming here to Hoopa in June of 2007. Evelyn loves reading, doing crossword puzzles, and taking walks with her favorite “rez” dog Gino. Boyd began work at K’ima:w Medical Center in 2012. He attended College of the Redwoods and Humboldt State. He is a CADC II and enjoys helping others make a change. Boyd is a Hupa tribal member and is very involved in the ceremonies. The hobbies that he enjoys are gathering firewood, fishing, and hunting. One day he would like to help create a curriculum that incorporates tribal culture and traditions. David Hostler is a Hoopa tribal member and is of Yurok decent. Mr. Hostler is currently the Outreach and Prevention Specialist who coordinates community education and prevention events as well as facilitates Youth Groups in Hoopa Elementary and Trinity Valley Elementary schools. Mr. Hostler is the lead facilitator for the Behavioral Advisory Team, which also provides curriculum to the schools. Mr. Hostler is a recovering addict and started his journey in February 2013 and has 5 years of sobriety. He is currently attending College of the Redwoods and will receive his certificate for Addiction Studies this May. Mr. Hostler is a member of California Consortium of Addiction Programs and Professionals as a Registered Alcohol and Drug Technician (RADT). David plans to become a Certified Alcohol and Drug Counselor 1 (CADC1) to help his community recover from the grips of drug addiction. Damon Cross is currently a certified alcohol and drug counselor I. Damon is a recovering addict/alcoholic himself who has been clean from alcohol and drugs since 2012. He began in this field as a volunteer for a substance abuse treatment center and worked his way from the bottom up. Damon has dedicated his life to helping the suffering addict/alcoholic. 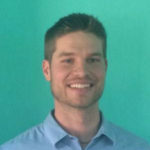 Damon is a member of the California Consortium of Addiction Programs and Professionals.